Since the scenario I proposed in my previous post hasn’t come to fruition (Revis for a 1st, 3rd and 5th round pick in this draft), I have amended my picks. While I was disappointed that we only got two picks for Revis, I am glad that the deal is done and we now have two early picks in this year’s draft. 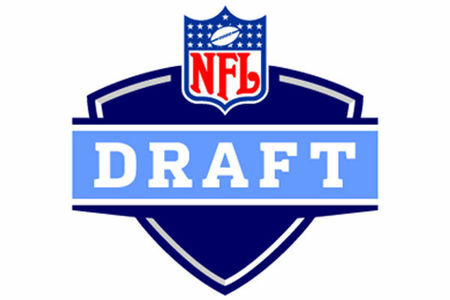 This post reexamines the draft in the Jets’ current scenario, with just one additional trade. I’d like to see the Jets make a few more moves in free agency. I would make signing Safety Charles Woodson and WR Braylon Edwards a priority. I know the thought of having a 36 year old defensive back sounds borderline laughable but age is, after-all, just a number. Woodson has played at a very high level for many years. I believe that the main reason the Jets pass defense was so stout last year despite losing Revis was the much improved play at Safety. We’ve now lost both our starting Safeties from last season to free agency. While I like the pick-up of Dawan Landry and am looking forward to seeing Josh Bush continue to develop, I think Woodson could add a lot to the secondary even if its just for one year. Despite not being helped by competent QB play last season, our wide receivers are in need of significant improvement. Hill was the only WR who consistently got open but he dropped way too many passes to be trusted. I think our WR’s need to be shuffled around. Santonio Holmes should be moved to the slot. Stephen Hill needs to step up this year. Hopefully he has invested in a jugs machine this offseason and has worn it out. Hill should be the Z Flanker and Braylon could come in as the X Flanker. While I’m not crazy about some of the locker room reports that seem to follow Braylon around the league, he has always been solid for us. It could be argued that he was our best receiver last year despite only being on our roster for three games. I would sign Braylon to a two year deal without a lot of guaranteed money so he could be cut after a year if needed. I have the Jets drafting an X Flanker in the 4th round this year to compete with Braylon. If the rookie doesn’t win the starting job by the end of the season, I would recommend drafting another X Flanker in second round of the 2014 draft (1st round pick should be for a QB). I also see Kerley taking over the slot role in 2014 and cutting Holmes after this season ends. If it were up to me, I would have cut Holmes immediately after the New Year’s Day game in Miami in 2012 when our “captain” was on the sideline when the season hung in the balance. I know it would have been a massive cap hit but sometimes, when team dynamics are in play, you can add through subtraction. I also hope that Jordan White gets some playing time this preseason so he can prove that he deserves a roster spot. I really liked this late round pick from last year but he has been really limited in his opportunities to showcase his skills. Other free agents we should consider bringing in, based on price, are G Brandon Moore, TE Visanthe Shianco , NT Sione Po’uha and either ILB Carlos Dansby or ILB Larry Grant. One trade we should still make before the draft, and is rumored to be in the works, is trading our 5th round pick (141st overall) to the Saints for RB Chris Ivory. If Dion Jordan, OLB from Oregon happens to is still on the board, as unlikely as that is, Jordan should be drafted instead of Mingo. If Warmack off the board, then Jonathan Cooper G from North Carolina should be drafted. It is looking highly unlikely that Ryan Nassib, QB from Syracuse, will be on the board at 39 but if he is, the Jets should draft him instead. 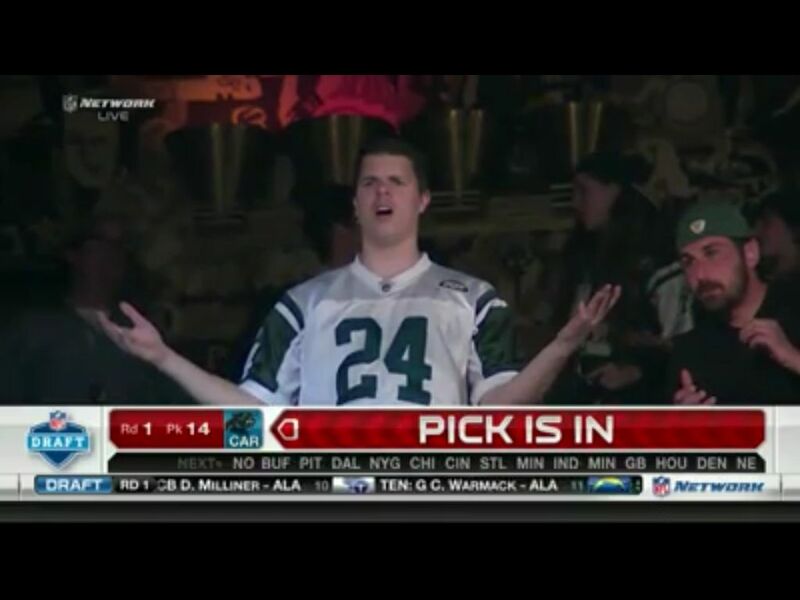 If he’s off the board, I think the Jets should wait until next year to draft a QB. However, I wouldn’t be disappointed if the Jets spent this pick on QB EJ Manual from Florida State although he will likely also be off the board by the 39th pick. If Nassib, Manual and Hyden are all off the board, then the Jets should draft Johnathan Banks, CB from Mississippi State. I originally had Michael Buchanan, OLB from Illinois but he has been moving up the draft boards and will likely go in the fourth round. We trade Revis to the Bucs for their 1st (13th overall), 3rd (73rd) and 5th (147th) round picks. The Bucs are balking at this deal but as the draft draws closer and Revis’ recovery progress is verified, hopefully another suitor (real or imaginary) will emerge and act as a catalyst to get the Bucs to agree. In addition to making a ton of sense for the Jets, it would also add a little more drama to the opening game to the season. We trade our 3rd round pick (72nd overall) to the 49ers for one of their 3rd round picks (93rd), and both of their 4th round picks (128th and 131st). The 49ers have a 13 draft picks this year and a team that is among the most complete. They will likely be looking to trade volume for quality. According to the Trade Value Chart, the value of the three picks from the 49ers equals 213 and the 72nd overall pick we’d trade them is worth 230. We trade the two 4th round picks acquired from the 49ers (128th and 131st), our 5th round pick from the Bucs (147th) and our 7th round pick (215th) to the Saints for Chris Ivory and their 4th round pick (109th) and their 6th round pick (183rd). While the Saints have placed a second round tender on Ivory, it’s not realistic that any team would be willing to give that considering Ivory’s limited production. However, given that the Saints only have five draft picks this year and have a fair number of needs, the prospect of gaining an additional two picks for a player they signed as an undrafted free agent should be attractive. The Saints backfield is crowded and this would enable them to add players where they need them. Many of the guys I’ve had on my list have been moving up draft boards and are now not likely going to be available where we’re picking. In some cases below, I’ve made mention of who I originally wanted to draft. If Warmack is off the board, then Jonathan Cooper G from North Carolina should be drafted. A lot of sites have Nassib ranked somewhere in 40‘s among this year’s draft prospects, however some mocks have him going as high as number 8 to Buffalo. If he’s available for the Jets with the 39th pick, we should draft him. If Nassib is off the board, then we should draft Zach Ertz, TE from Standford. Travis Kelce, TE from Cincinnati if Nassib is drafted in then second round. If Ertz was drafted in the second round, then the Jets should draft Quinton Patton, WR from Louisiana Tech or Da’Rick Rogers, WR from Tennessee Tech. I originally had Justin Pugh, OT from Syracuse slated for this spot but he has since risen up the draft boards and will likely go late in the second round. He has been moving up draft boards and some people now have Wreh-Wilson going as early as the second round. If he is off the board, then the Jets should draft Leon McFadden, CB from San Diego State. It’s been years since we’ve headed into a season with as many holes and unknowns on our roster. A lot of the season will depend on if guys like Bush, Davis and Ellis can step up on defense and if guys like Hill, Smith, Colon and Goodson can step up on offense. Oh wait… having even just mediocre QB play will be necessary too if we are to compete this season. I am really excited for the draft and to see how our new GM does. So far, I really like what I see. He’s made the cap room we need, secured some low risk/high reward players in free agency and has stated that he wants to build the team through the draft.